The Schoenstatt Jubilee celebration in Schoenstatt, Germany is over and the meeting with Pope Francis on the Schoenstatt Movement in Rome is over, but the memories have been recorded and live on. Click here to view the wonderful experiences and may the coming 100 years be even more fruitful than the first 100 years! 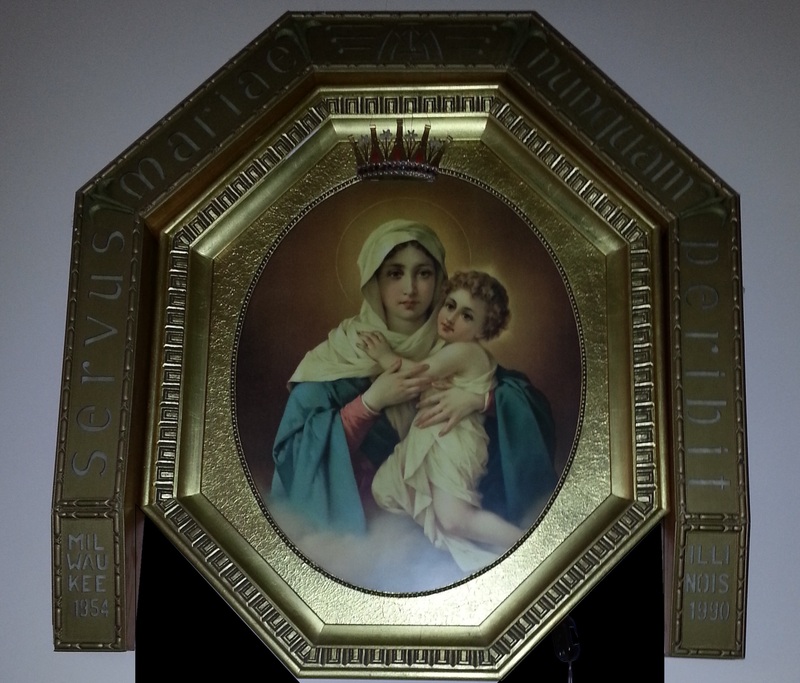 This entry was posted in Schoenstatt Links on December 5, 2014 by cleja. Illinois has begun the long process of building a replica shrine. St. Sylvester Catholic Church in Chicago Illinois holds the initial picture of Mother Thrice Admirable for the Illinois Schoenstatt Shrine. This entry was posted in Schoenstatt Illinois on December 1, 2014 by cleja.